Located in the north-eastern region of the United States, Delaware is the sixth most populous state and is also known as the ‘The First State’. The state is divided into three counties – Sussex, Kent, and New Castle. The state’s coastline was explored in the 16th century by the Europeans. Coined after the river of the same name, Delaware is easily reachable by flights, trains, and buses. One of the best attributes of Delaware is that the state has no sales tax which means you can shop to your heart’s content without worrying about digging a hole in your pocket. While most residents here have American English accent, southern accents may be heard towards the south. 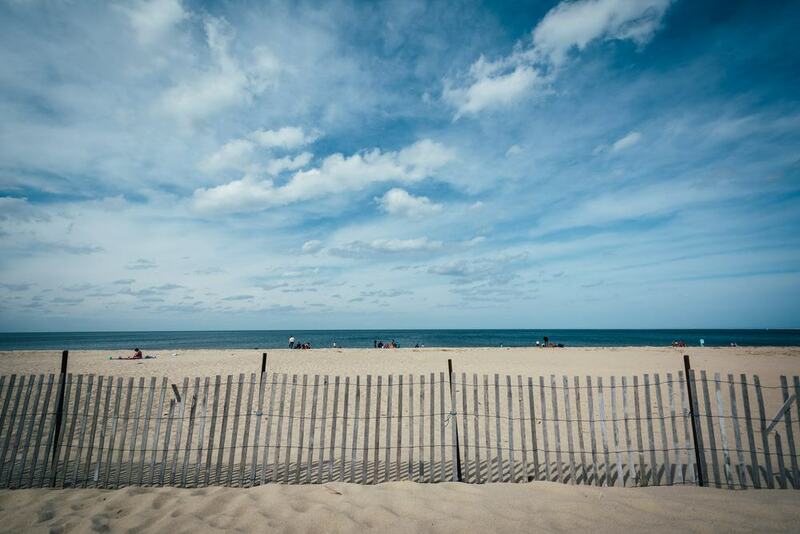 But let’s get on to what you’re here for – the 10 best beaches in Delaware. Located in Sussex County, Delaware, Broadkill Beach is a highly popular beach destination in the state. Though a significant number of year-round residents live in the town, the area mostly comprises vacation rentals such as hotels and resorts. Holiday homes are available for weekly, monthly, and long-term rentals during the tourist season of spring, summer, and fall. The beach area became more famous during a replenishment project in 2016 which saw an addition of a large, new dune. Several beachside activities can be enjoyed here such as swimming, surf fishing, kayaking, and stand-up paddle-boarding. The area is highly famous among vacationers due to which parking can be a problem if you don’t arrive early in the day. Prime Hook National Wildlife Refuge surrounds the west of the beach which offers interesting avenues for nature and wildlife lovers to explore the many tropical flora and fauna present in the area. There are food and drinks counters spread across the beach area for refreshments. With Rehoboth Beach as its neighbor, Lewes, in Sussex County, is rapidly establishing itself as Delaware’s main Cape Region. The town proudly boasts its stature as ‘The First Town in the First State’. Highly popular among residents of Washington D.C., Lewes is a distinguished vacation spot in the state and is regarded as an ocean resort. Smoking is strictly prohibited in public parks. Home of the notable Zwaanendael Museum, the main streets of the beach town is filled with restaurants, shops, historical sites, and public parks. A dock stretched from the beach to its neighbor Rehoboth Beach and is great for sea viewing and watching hundreds of boats dock here during season time. Swimming and paddling around the area are great, so is the opportunity to spot one of the many iconic lighthouses – Delaware Breakwater East End Light and Harbor of Refuge Light. 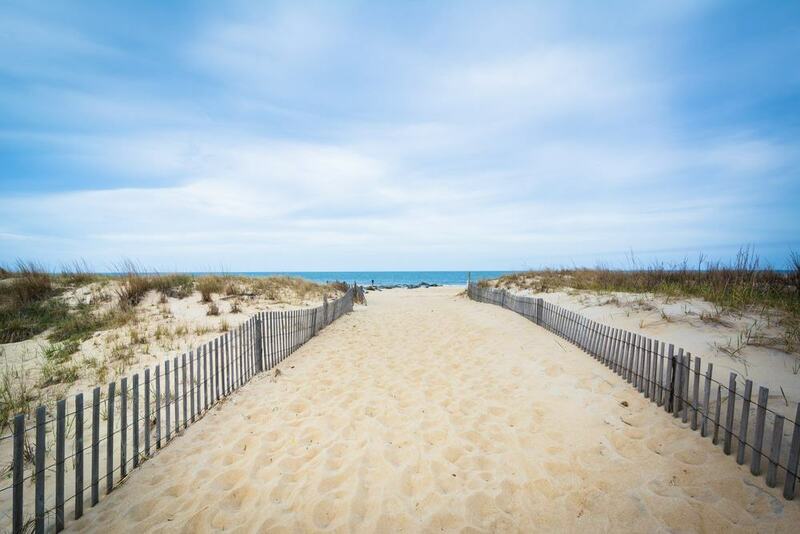 Located on Cape Henlopen, the State Park Beach is one of the first of its kind to have been made open to public usage. The State Park has a fishing pier and campground which is open throughout the year and 24 hours a day. The beach at Cape Henlopen is also open all year round and open to swimming. Lifeguards work at the beach from Memorial Day to Labor Day. A bathhouse with shower facility and changing room is available by the beach. There is also a snack bar towards the north end of the shoreline. There are a large pavilion and a clubhouse that can be rented for larger groups. There are other activities and facilities around the area such as basketball courts, golf course, hunting (only around the permitted hunting area during the season), fishing, and hiking trails. The Seaside Nature Centre has several marine aquariums and exhibits that showcase the natural history of the park. Fenwick is a popular coastal town located on the Fenwick Island. 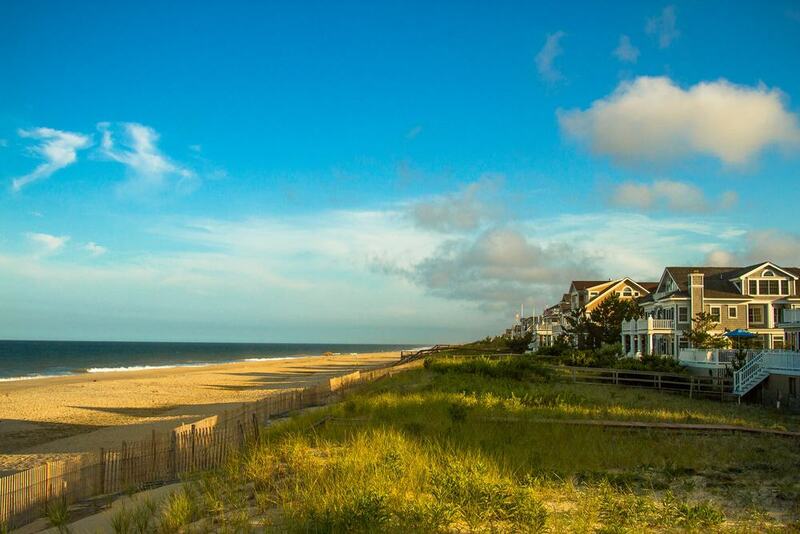 Along with Bethany Beach and South Bethany Beach, they are termed as “The Quiet Resorts”. Though slightly less quiet than its counterparts, Fenwick is mostly known for its lively Oceanside ambiance and natural landscape. Coined after Thomas Fenwick, the town sits on a narrow peninsula. The Fenwick Island Lighthouse which was built in 1858 stands tall amidst the bustling beach town. Access to the base is allowed as it houses a small museum but it is not open for climbing. There are quite a few restaurants and shops around the coastline. The beach is open for surfing, surf fishing, and swimming throughout the year. The coastline is guarded by attendants from Memorial Day to Labour Day. There is also a bathhouse, a gift shop, and concessions. An ideal candidate for one of the best-kept secrets of Delaware, South Bethany Beach is a quaint beach town with a population of around 500 residents. This coastal town is considered as one of those places where memories are made over long summer vacations. Located within proximity to the ocean as well as a bay, South Bethany Beach is particularly famous among family vacationers. Highly contrasting to the atmosphere of Rehoboth and Dewey Beach, the beach town of South Bethany is for those who wish to rent a holiday home for a long duration and spend their days fishing on the bay and evenings dining on mouth-watering crabs and fish. Restaurants, shopping avenues, and a golf course are some of the additional facilities around the area. The popularity of Bethany Beach among vacationers from all around the world is made obvious each year when over 15,000 holidaymakers arrive here to spend their summer as compared to the actual town population of approximately 1,000 people. Bethany Beach’s reputation as one of the three beach destinations comprising “The Quiet Resort” is complemented by the presence of Delaware Seashore State Park which is located to the north of the town. Despite its size, the beach features a lot of public amenities and attractions that are found at some of the most popular beach destinations in the state. Some of the facilities and attractions include restaurants, motels, a short boardwalk, and quite a few vacation homes. Bethany Beach Patrol Lifeguards protect the area throughout the year. Located near Dewey Beach, Delaware Seashore State Park is surrounded by the Atlantic Ocean to its east and the Rehoboth Bay and Indian River Bay on the west. A major attraction for hundreds and thousands of visitors, the beach waters here are highly famous for several kinds of water activities. The State Park was established in 1965 and has a six-mile-long coastline. There are two designated areas for swimming and sunbathing. These areas are also equipped with changing rooms, showers, restrooms, rental stores for chairs, umbrellas, and rafts, and concession stands. Fishing, boating, surf fishing, sailing, clamming, and crabbing are additional activities frequently enjoyed here. There are two picnic pavilions within the park and a nature trail that offers magnificent views of bay islands and salt marshes. A beach town that goes by the motto “Dewey Beach: A Way of Life”, Dewey is among the achievers of the NRDC’s 5-star rating for water quality. With a reputation among partygoers, the tropical town is as famous among families as it is among youngsters. The shoreline of Dewey has a wide, sandy beach and complemented with several beach hotels, cottages, and condos for short and long-term rentals. Come the last weekend of September, the beach town hosts the Dewey Beach Music Conference. Other notable events that take place in the area are the Greyhounds Reach and annual East Coast Skim-Boarding Championships. Dewey Beach is located between the Rehoboth Bay and the Atlantic Ocean and is a short walk from the Rehoboth Beach. Kayaking, walking trails, nature cruises, surfing, sailing, and exploring the adjoining state parks are some of the common activities in the area. Another beach gem located in Sussex County, Delaware, Rehoboth Beach often proclaims itself as “The Nation’s Summer Capital” due to the several hundred tourists that arrive here from all parts of the United States. The beach is also one of the popular gay-friendly beach towns on the mid-Atlantic coast and has several gay-owned businesses. The one-and-a-half-mile stretch of shoreline is well-protected by lifeguards during the season. Come summer, the bandstand near the boardwalk hosts endless open-air music and entertainment events which are free to the public. Some of the popular festivals which are held in the town are the Rehoboth Beach Independent Film Festival, the Sea Witch Festival, and the Rehoboth Beach Autumn Jazz Festival. Established in 1681, Slaughter beach, unlike its crude name, is home to the famous Milford Neck Wildlife Area and is a great location for beachgoers and birdwatchers. It is also a designated sanctuary for horseshoe crabs. It is highly popular among year-around residents and those who want to escape the hustle and bustle of a fast-paced life and relax in the tranquility of a serene coastline. The beach area is perfect for beachcombing though caution must be exercised while wading in the waters as the ocean floor is home to several hermit crabs. The beach is quite rocky so be careful while wading into the water. There is a decent parking space around the area along with other public facilities such as restrooms, showers, and picnic tables.